Lizette de Jager's research interests are situated in the focus areas of English Education and Teacher development and professionalism. The paradigms in which she works are applied linguistics and pragmatics in the cross-cultural domain. She is also a keen supporter of e-learning and technology integration in instructional design. Her research investigates the effects of the language use of teachers and learners who are non-native speakers of English. She is currently working on a project where English student teachers source and evaluate Microsoft Tools and/or Android and Apple Apps, specifically for language instruction. 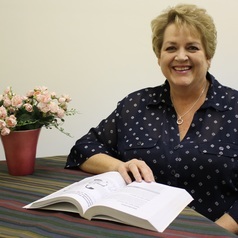 She received the Fulbright Scholarship in 2006 – University of Pennsylvania: Summer Institute for English Language Educators, she was nominated for the Teaching Excellence Award (University of Pretoria) in 2016, received the award for Excellence in Teaching and Learning (faculty of Education) in 2017 and the TAU Fellowship for 2018/2019.